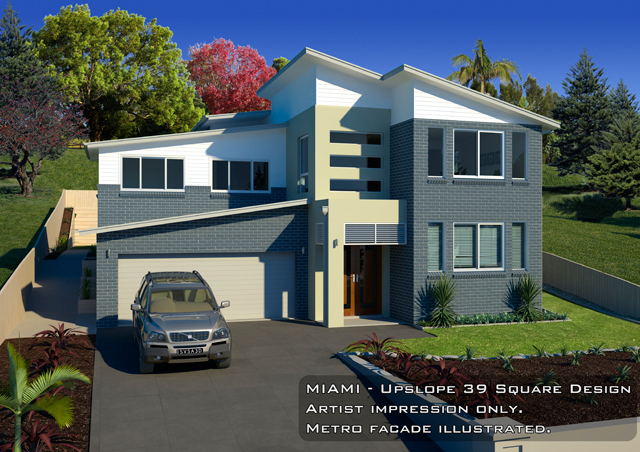 The MIAMI 39 Square design is the Ultimate Double storey Home design. 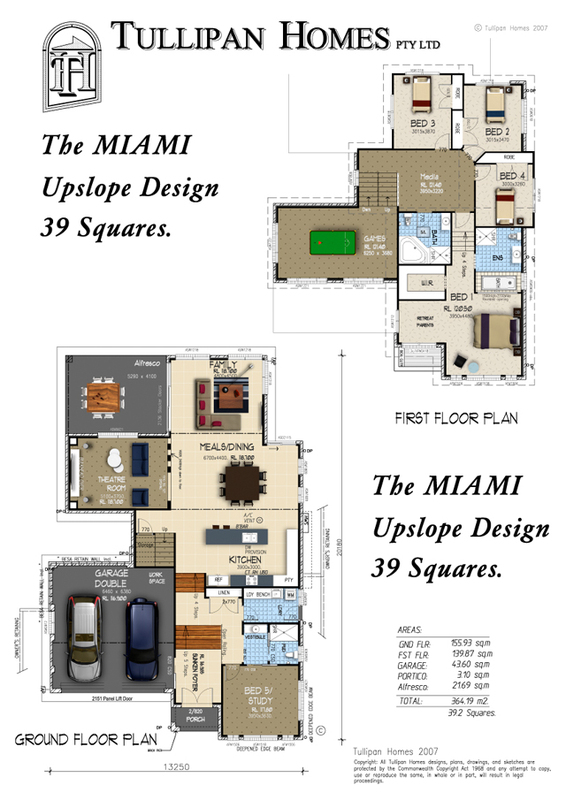 This MIAMI design was created as a more cost effective Version of MIAMI 41 Square Design. The main difference in this design is the removal of the Two Front elevated balconies. 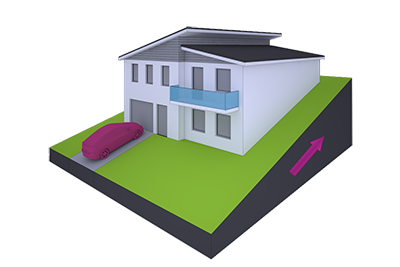 This home can be built on level land or adapted to accomodate either Down sloping home sites or Up sloping land on the High side of the street as displayed on this page. The Miami design caters ideally for the 21st century family lifestyle. 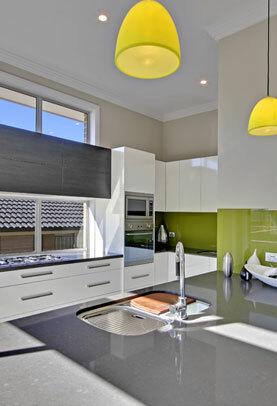 Its expanse of modern Open plan living, includes generous dimensions where it really counts. It also includes an inpressive Facade, utilizing a combination of the latest building materials. This Upslope version, utilizes the cost effective slab on ground, split slab construction. 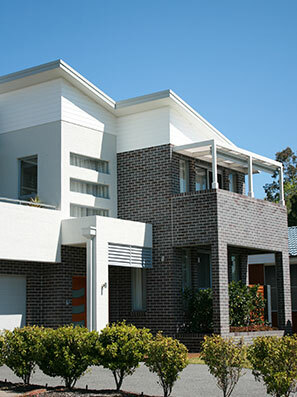 Adapting well to a sloping home site with up to 3m of rise on the high side of the street. The Foyer is adjacent to a spacious home office to the left, set off by dwarf wall features. The end of the Foyer opens up to an ideal Living and Entertaining area. Upstairs is a Split level design, includes 4 bedrooms with Ensuite & W.I.Robe to Bedroom 1. Bed 1 & Games rooms.